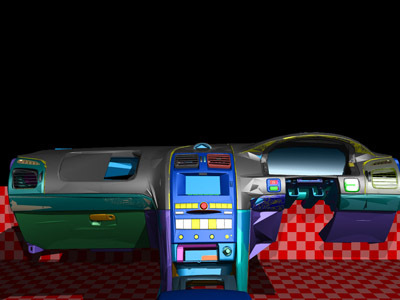 The following render shows the model conversion results to date. There are still a number of errors which are due to the highly hierarchical nature of the models (many levels of instanced components). This should be solved by reducing the model to a single level before exporting to VRML, I assume the software used can do this. The hierarchical nature of the files at the moment caused problems with 2 commercial translators as well as my translator. 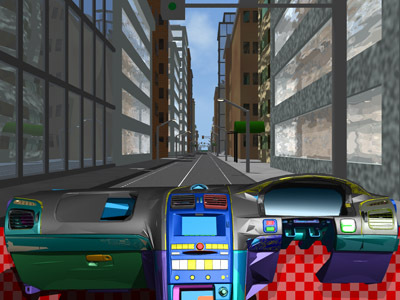 One option is to film driving down streets with a stereoscopic camera rig. 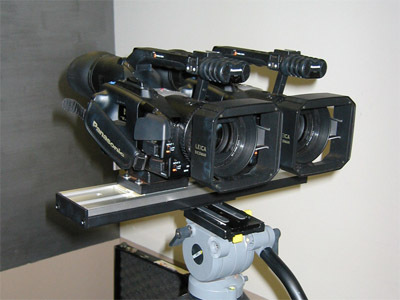 The camera specifications used for filming need to match the virtual camera specifications used for rendering the dashboard. This obviously gives the highest quality environment, it does make it more difficult to create the exterior stimulus events. 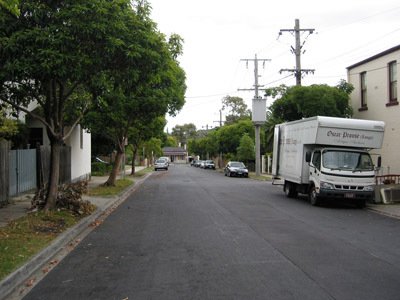 The following shows one snapshot in time of a street, one image for each eye. 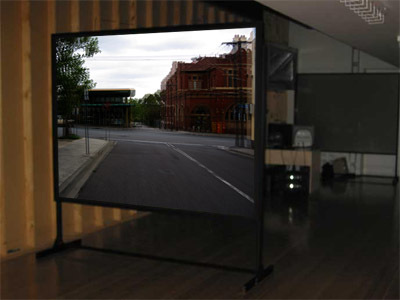 The field of view of the cameras that are eventually used needs to match the field of view of the final stereoscopic projection system, that is, the view of the user to the frame of the rear projection system. This would normally be aligned with the drivers seat rather than in the middle of the car. 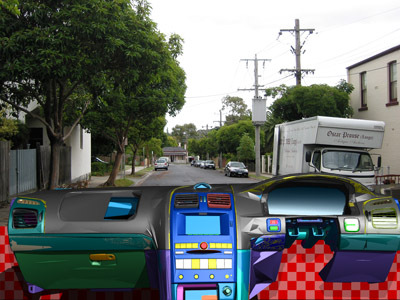 Consideration needs to be given to window framing, the floor of the vehicle, etc. These could be part of the supplied model, constructed artificially, or a stereo photograph of a real vehicle frame. 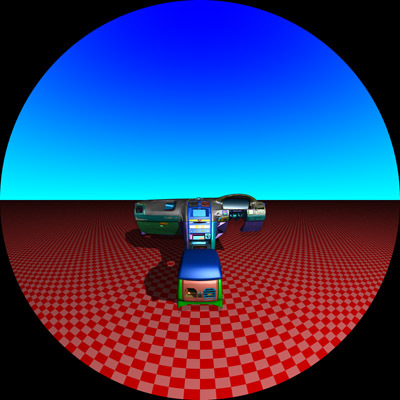 Note that the eye level is lower than it should be, this is only intended to be a mock-up for the stereoscopic testing. 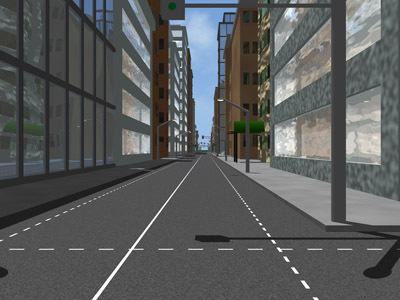 It is equally straightforward to create a synthetic road. This is less realistic but it would be easier to create the external stimulus. As with most 3D modelling and animation, it would take longer to initially create compared to filming but it would be easier to modify in the future. 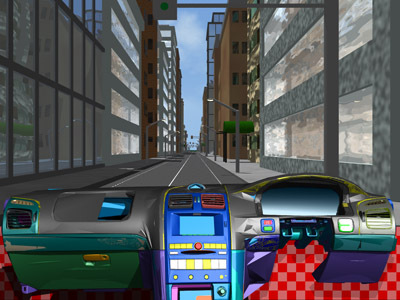 As shown earlier, the dashboard can be composited into the road movie, in stereo3D. 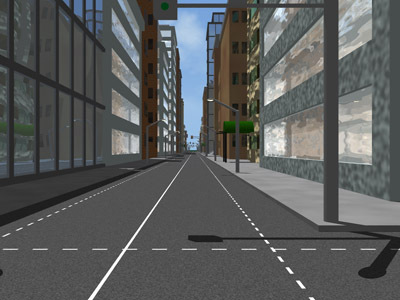 Alternatively the dash and road model could be combined and rendered together. 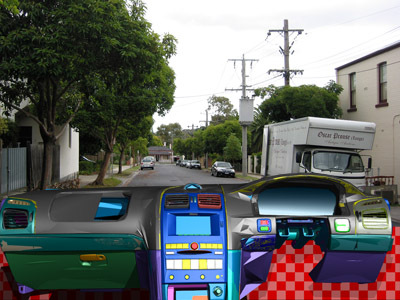 An issue with the stereoscopic projection above is the field of view, whether it will be sufficient to contain enough of the dashboard. 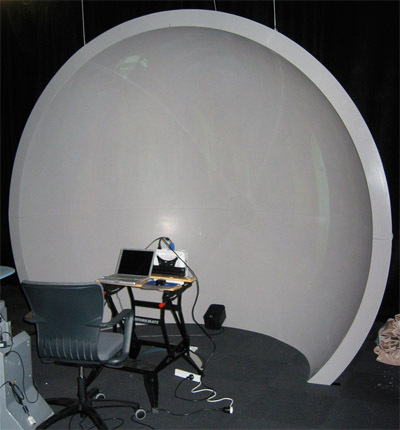 An alternative that is often used for simulation applications is a hemispherical dome. This fills up the whole user visual field and contains a visual representation of all the geometry within half a sphere. 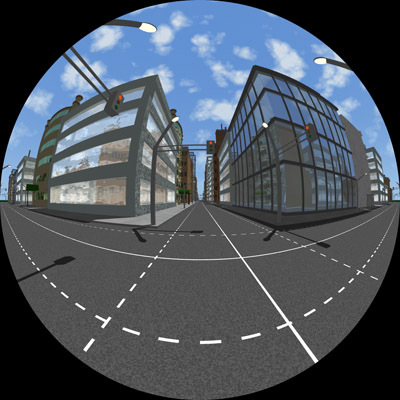 As in the stereoscopic case, real road visuals for this environment can be captured using a single camera with a 180 degree fisheye lens, alternatively artificial road models can be rendered. 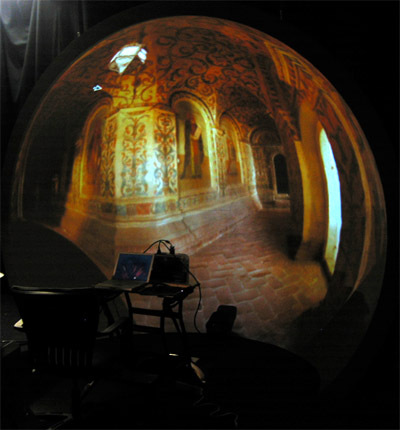 Note that the fisheye images shown below look distorted here but appear normal when viewed within the dome. 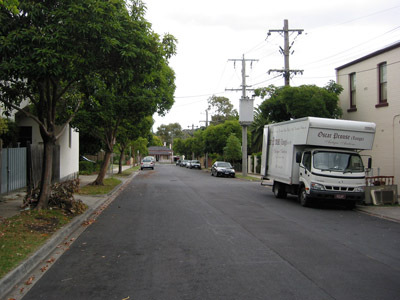 It may be more important in this case to have the additional vehicle structure such as doors, window frame, roof, etc.